If you are the parent of a teenager and you’re afraid your child may be experiencing the consequences of alcohol abuse, you are not alone. 33% of respondents reported drinking some amount of alcohol. 18% said they binge drank (drank 5 or more alcoholic drinks in a row). 8% said they drove after drinking alcohol. 20% of students said they had ridden in a car with a driver who had been drinking alcohol. When attempting to identify alcohol abuse, there are certain physical symptoms and emotional behaviors you can look for in your teenager. Determining that your child has a problem is the first step to getting treatment for alcohol abuse. With the right treatment and support, your teen can learn to control the addiction rather than the other way around. 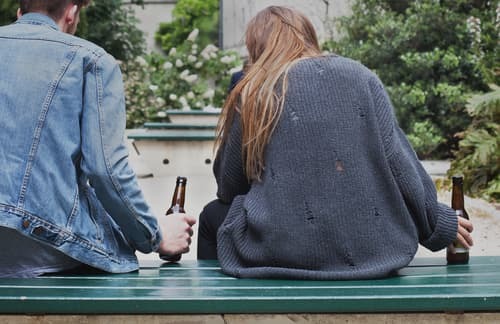 Teens may turn to alcohol for a number of different reasons, including peer pressure, or as a means to gain social acceptance, since they are building their identity during these crucial years. Other factors contributing to teen drinking may include stress or anxiety brought on by schoolwork, participation in sports, part-time jobs, or family issues such as divorce. Drinking behavior may also be associated with other mental health conditions, such as depression, which may have yet to be diagnosed. A drop in grades, missed classes, or other behavioral issues at school. Loss of interest in extracurricular activities, such as hobbies, sports, or clubs. Increased clashing or opposition toward family at home. If you notice these behaviors or other worrying signs, talking to your teen is an important first step. They may be struggling with substance abuse, or they may simply feel overwhelmed by the normal pressures of being a teenager. Establishing an open dialogue is the best way to understand your child’s situation and take steps to help. Perhaps you already know that your teen is using alcohol, but are unsure of the amount or frequency in which their drinking is occurring, or at what point you should seek professional help. Experiencing withdrawal symptoms when drinking is stopped. If your teen is exhibiting any of the above behaviors, there may be cause for serious concern. Consider meeting with a health professional who can conduct a formal assessment. Some people think that because alcohol is sold legally it is less harmful than illicit drugs. This is simply not true. Increased risk of suicide and violence such as homicide or sexual assault. Slow, irregular, or stopped breathing. Alcohol poisoning is a medical emergency. If your teen is exhibiting the above symptoms, call 911 immediately. Hand tremors, shakiness, or other involuntary movements. Once you have identified that your teenager is abusing alcohol, the next step will be to seek out the appropriate treatment. There are various treatment methods and options to choose from in order to best meet your family’s specific needs. Each individual can benefit from one or a combination of treatments, depending on the severity of alcohol abuse and other factors such as co-occurring mental health disorders or dependence on more than one substance. Many inpatient treatment programs take place on the premises of a residential facility, and last for a period or 30 days or longer. Treatments including detoxification, counseling, therapy, and support groups are all conducted on-site in a 100% sober environment. Certain rehab facilities cater specifically to teenagers, so a certain amount of research could be beneficial in determining the right center for your child. Outpatient rehab programs offer many of the same services, but on a part-time basis so that patients can continue living at home. Patients attend treatment sessions at the facility on a set weekly schedule, which allows them to still make time for school, work, family, or other demands. Naltrexone: Inhibits the pleasurable effects of alcohol, making drinking less rewarding. Acamprosate: Thought to balance activity in the GABA and glutamate neurotransmitter systems; when taken after the acute withdrawal period, acamprosate helps to increase abstinence rates. May also help with protracted withdrawal symptoms such as insomnia and anxiety. Disulfiram: Interferes with the body’s ability to break down alcohol; the unpleasant reaction to occur should alcohol be consumed while taking disulfiram helps to deter relapse. Detox is an important step in the rehab process, but it’s the behavioral treatments take place in rehab that can help the patient change their drinking behavior and thought processes. These sessions are conducted by mental health professionals, and will help your teen develop skills to stop or reduce their drinking. While in rehab, patients will likely meet for group counseling sessions several times per week, but the support of a group doesn’t need to end once the patient leaves the facilities. Support groups, such as Alcoholics Anonymous (AA), provide peer support for those attempting to quit or limit their drinking and have helped countless numbers of people struggling with alcohol abuse. 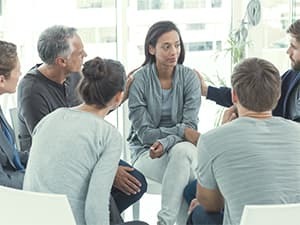 There are groups tailored for young adults, as well as support groups for family members and friends of those suffering from substance abuse, such as Al-Anon. There is no one-size-fits-all solution for alcohol abuse. You can start investigating your options by speaking with your teen’s primary care physician or other medical or mental health professional. They can discuss the best treatment options and make any necessary referrals based on your child’s physical and mental health needs. Getting clean is simply one of the first aspects of recovery. It’s important to remain persistent, hopeful and engaged in the treatment(s) that work best for your teen, because a life-time of recovery is within reach and possible. Johnston, L., O’Malley, P., Miech, R., et. al. (2017). Monitoring the Future national survey results on drug use, 1975–2016: Overview, key findings on adolescent drug use. Ann Arbor: Institute for Social Research, The University of Michigan. Centers for Disease Control and Prevention. (2016). Fact Sheets—Underage Drinking. National Institute on Alcohol Abuse and Alcoholism. (2015). Alcohol Screening and Brief Intervention for Youth: A Practitioner’s Guide. Centers for Disease Control and Prevention. (2016). 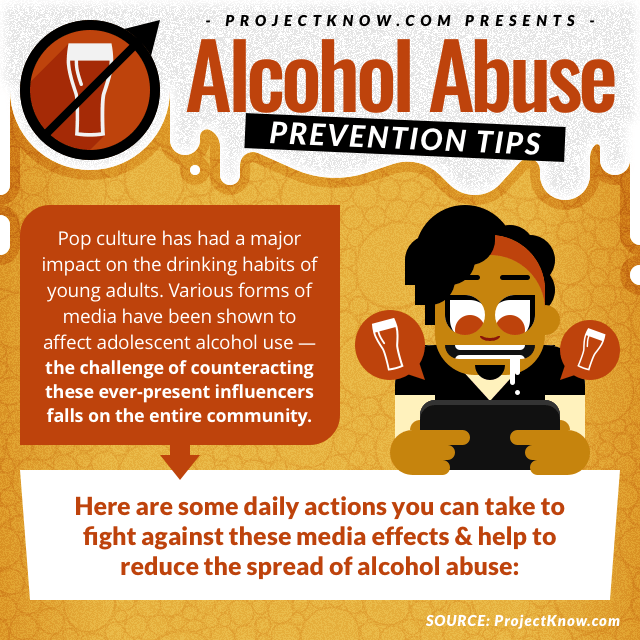 Fact Sheets — Alcohol Use and Your Health. American Academy of Family Physicians. (2004). Alcohol Withdrawal Syndrome.